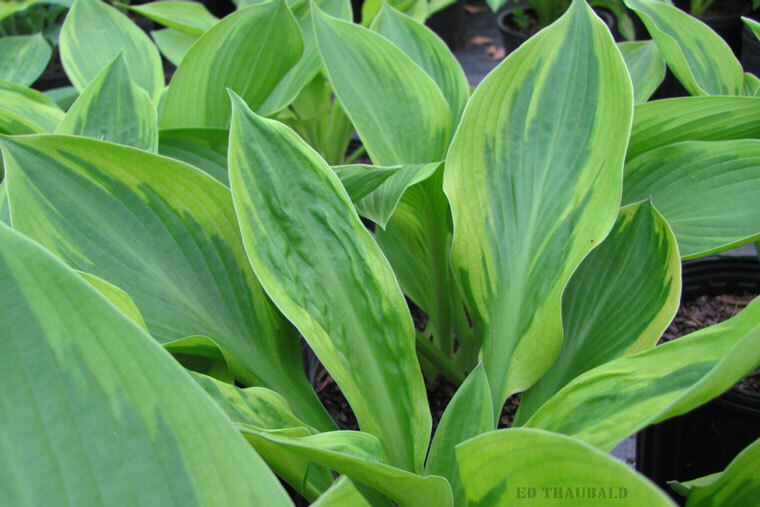 Josh's column separates out his picks for the standout hostas hitting the market each year. 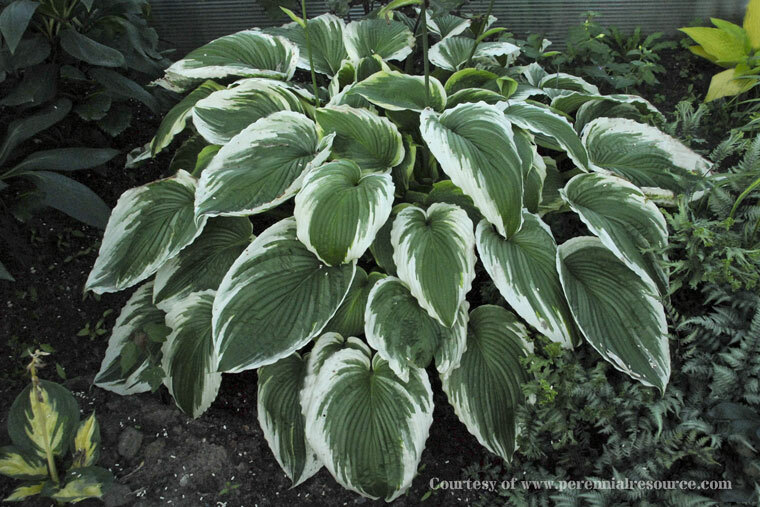 A giant, a mini, a once-in-a-lifetime discovery, and an unexpected late addition are among the new hostas in my collection that captured my attention this year. 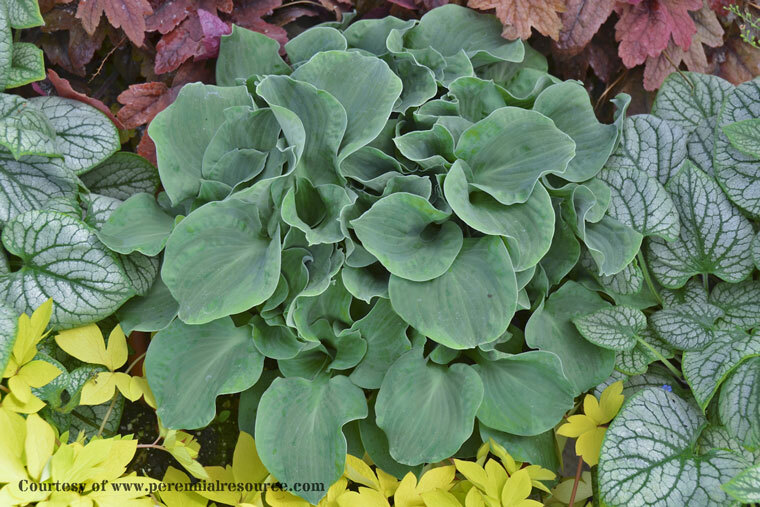 Hosta 'Niagara Falls' was awarded the Society's highest honor in 2012, the Benedict Garden Performance Medal. Anyone who has seen a mature specimen recognizes what a deserving plant it is. 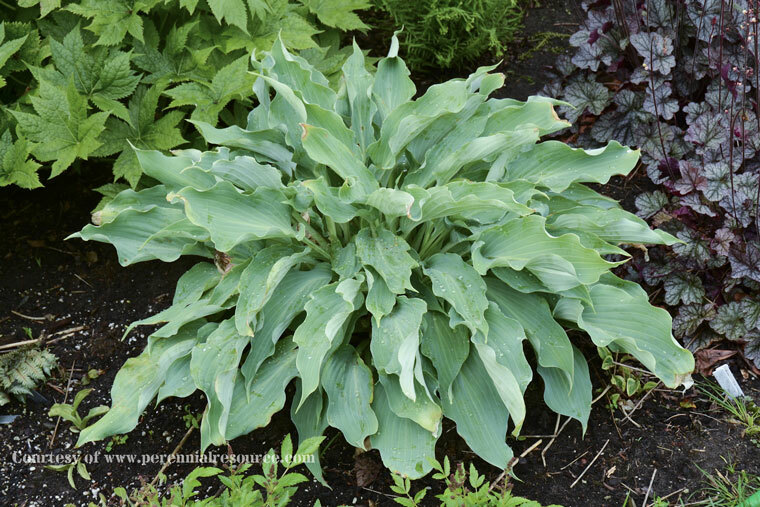 It is not surprising that a sport of such a regal plant would cause a stir among hosta collectors. Sometimes it is hard to improve upon perfection, but in the case of 'Bridal Falls', the incredible, wide white margins are like icing on a cake. I’ve planted mine in a prominent spot in the garden, with hopes it will be a knockout. Hans Hansen's newest hybrid, 'Joy Ride', was introduced by Walters Gardens, Inc. in July. Even as a young plant, it stood out to me. Each blue-green leaf is distinctly upturned along the edge, revealing the powdery underside. Some leaves are folded to the point where the large waves along each leaf edge nearly touch! With good substance, an apparently vigorous growth rate, and sparkling white flowers, I'm counting on 'Joy Ride' not to disappoint me.  Every hybridizer dreams of creating a plant that is instantly recognizable and wanted by every hostaholic around. H. ‘Foxfire Palm Sunday’ is Steve Schulte’s once-in-a-lifetime introduction. 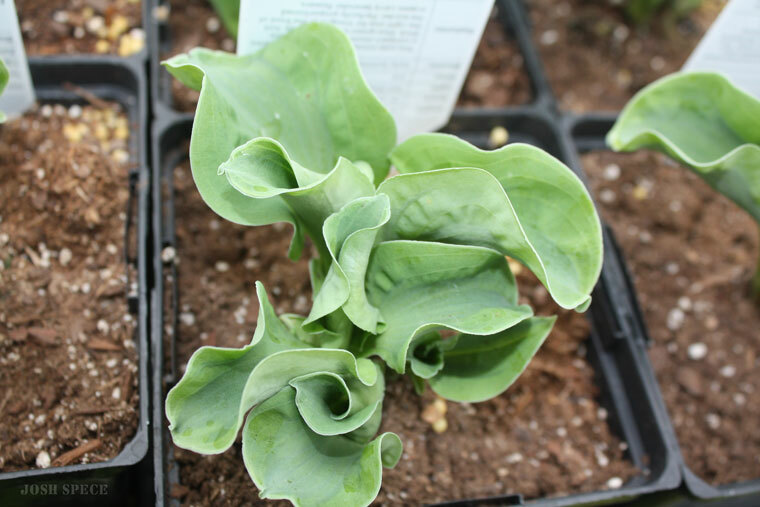 This seedling of ‘Independence Day’ features the most unusual, feather-like green leaf centers nestled between wide, bright gold margins. H. ‘Foxfire Palm Sunday’ was tissue cultured and released about three years ago. Initially, I was concerned the tissue cultured plants were not going to be true-to-type, as the gold margin was very narrow. 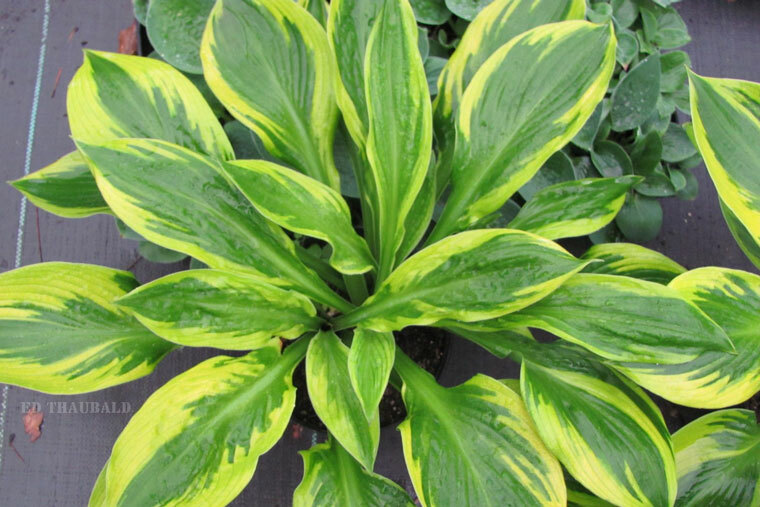 After growing a number of plants though, the young plants do develop the unique variegation pattern that makes this a standout. A distinct look, excellent substance, and a good growth rate are all traits of a winner! I know what you’re thinking … do we really need another mouse?! If that mouse is H. ‘Church Mouse’, I say yes we do! Marco Fransen’s ‘Dancing Mouse’ was the first sport of ‘Blue Mouse Ears’ to be introduced a few years ago with wavy leaves. 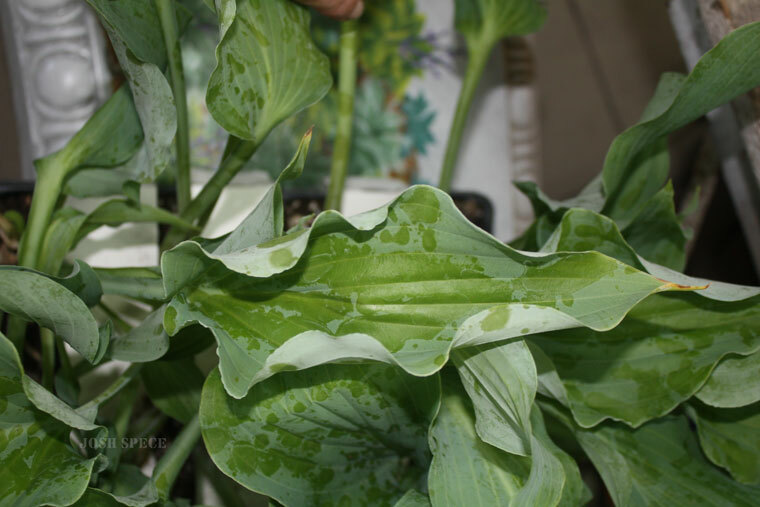 The leaves are nice and wavy as they unfurl in the spring, but tend to flatten out as the leaves open and mature. The new ‘Ruffled Mouse Ears’ looks like it will behave similarly. Maybe not the first, but ‘Church Mouse’ is definitely the best of the ruffled leafed mice, yet. As it unfurled in the greenhouse this past spring, I wondered how those crimped, ruffled, and gathered leaves would ever untangle themselves from each other! Not only did the leaves manage to untangle themselves, but they remained strongly ruffled all season long. Will any of these turn out to be a classic in the future? Only time will tell. 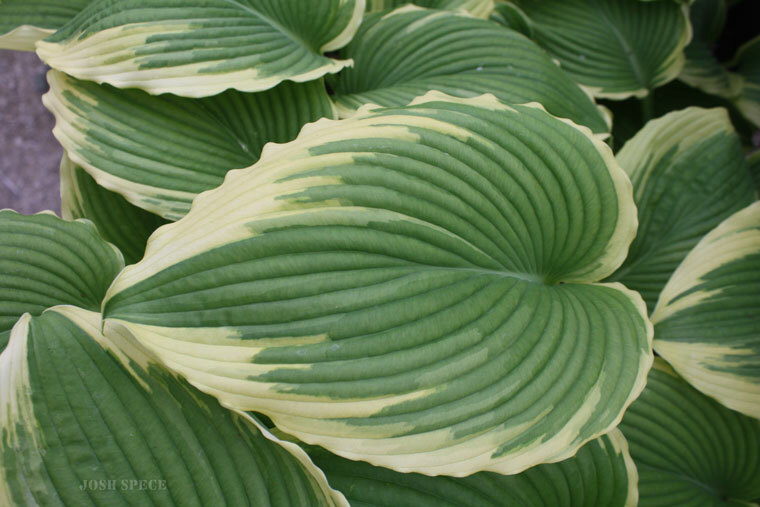 What's your favorite new hosta of the season?